Dallas is an amazing city with great people, rich history, and tons of activities to keep you busy. Dallas is also home to an incredible food scene. If you’re not careful, even a short trip to the Big D can result in you gaining the infamous Texas Ten. Whether visiting or if you live in town, finding a great gym is the first step in turning that savory tri-tip into bulging triceps. After visiting nearly every fitness club in Dallas, we have compiled a comprehensive guide to the best gyms in Dallas. We use the term “gym” loosely as many of the facilities are plush fitness clubs with incredible amenities. My trip to Verandah was incredible, to say the least. This club is immaculate and chalked full of high-quality amenities. I went for a quick one-hour workout and ended up spending over three hours soaking it all up. I started this visit with my usual workout on the free-weight floor. They have a massive cardio and free-weight selection. Verandah’s weights were clean, well organized and uncrowded. Like most top-tier health clubs, they have a wide variety of equipment that can suit nearly any workout – Olympic lifts excluded. After I finished lifting, I swam in their 6-lane pool and relaxed in their whirlpool and sauna, all of which were top-notch. I didn’t have time to play basketball or racquetball, although I did see some solid games being played – maybe next trip. 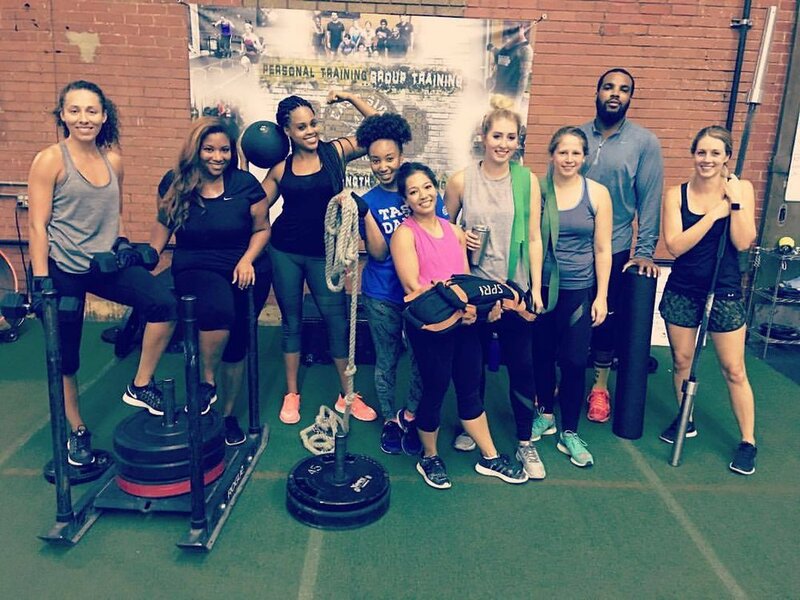 I had a fantastic visit to the Trophy Fitness downtown location. Trophy has two other locations which I was not able to visit. All 3 Trophy locations are included in a membership – the locations are conveniently located around Dallas. Trophy’s atmosphere has a heavy emphasis on fitness. They have a wide variety of top-notch equipment and even have equipment suitable for functional style workouts. After my workout, I made use of both their sauna and steam room – I know, I’m a sucker for spa-style amenities. The staff at Trophy was very warm and the overall atmosphere was very inviting. While the weight room is geared for individuals who are there to sweat, the facility was extremely clean and was very spacious for a downtown location. I visited LA Fitness around 7 PM on a Wednesday. I called ahead and heard that was the best time to come in to play pick-up basketball. There was a great group of guys playing and I was able to get a great sweat in. The club was a little crowded, which I believe is due to the unbelievable value members get. As a signature location, this club is loaded with all the amenities. They have a full basketball court, pool, racquetball, sauna, and whirlpool. Although I didn’t lift, from what I saw, they had a great free weight selection and quality equipment. With LA Fitness, you know what you’re getting, a well run, clean, quality facility at a great value. They are typically a little more crowded than other comparable fitness clubs, but for the price, you get a great deal. I really enjoyed my time at LA Fitness and had a great time playing basketball. I have been to a few Fitness Connections in the past. They have a few back home in Raleigh, NC and I always enjoy visiting them. The Mesquite location is about 10 miles from downtown Dallas, right off the intersection of 30 and 635 and was an easy drive from downtown. For a bargain gym chain, these clubs are really nice. Whoever invented the cardio theatre is a genius. Basically, they have a movie theatre inside the club, but instead of a seat, they have cardio equipment. I went to the gym with every intention of lifting weights, but instead got locked into a showing of The Bourne Ultimatum and ended up staying on the treadmill until I could barely stand up. At such a low price, this location was a little crowded and I could see it being a little intimidating for a gym novice. 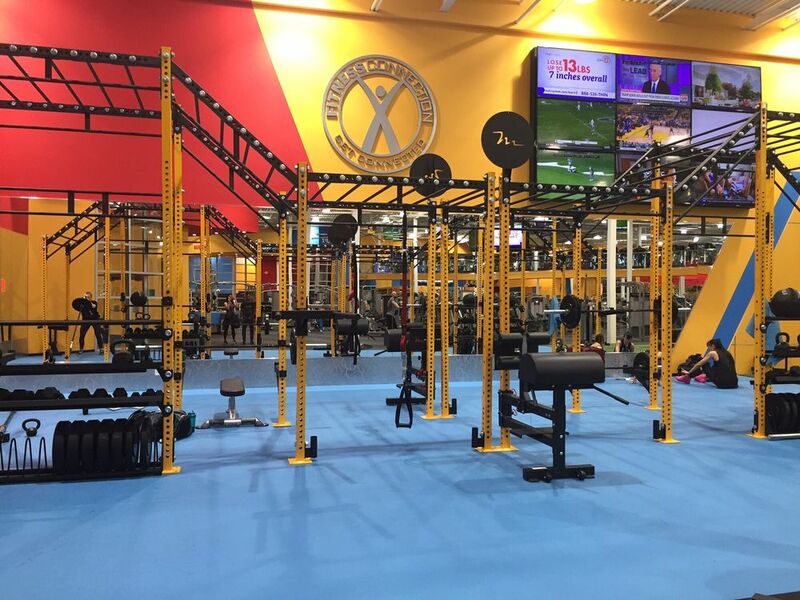 However, if you don’t mind having to superset your lifts, this is an incredible club at an amazing value. They have basketball courts, a sauna, functional space and a ton of classes. It is a really a great club overall. Very rarely have I visited a functional training facility that has a “wow” factor. East Side Athletic Club is that rare facility. Walking through the doors and into the facility, I was blown away by the quality of their equipment and overall club. This club does not have all the bells and whistles of a spa-like health club and is definitely geared toward the more serious lifter. With that being said, East Side is about as good as it gets in this category. Their staff is made up of extremely knowledgeable certified strength coaches. These guys walk the walk and can talk the talk. Equipment wise, they had all the necessary equipment to get in a great lift. Much of the facility is built for Olympic style, “functional” lifts, but they also have traditional equipment you will find in any health club or gym. While they don’t have any spa-style amenities, their facility is kept very clean and has a great, motivating atmosphere. Hi, Paige here! I’m a web content writer with a passion for all things involving fitness and travel. When I’m not writing, you can catch me at a local barre or yoga studio in my hometown, Dallas, TX. Let’s connect by liking my Facebook page! Previous PostFun Travel Activities that Burn Calories!